Portsmouth, NH restaurant to reopen about one year after it was destroyed in a fire. Tuesday marks the one year anniversary of a massive fire that burned a popular Portsmouth, New Hampshire restaurant to the ground. State Street Saloon went up in flames after a fire that the owner Eli Sokorelis said started in an upstairs apartment. The restaurant was in the ground floor. Now, Sokorelis is reopening his popular restaurant under a new name in the same city. "I knew I had to," Sokorelis said. Sokorelis owned the State Street Saloon for 35 years. He said he knew he had to come back, even though the fire was devastating. "To watch it go up in flames was quite traumatic," Sokorelis said. After months of looking for a new home for his restaurant, Sokorelis settled on the old VFW Post 168 building on Deer Street in Downtown Portsmouth. 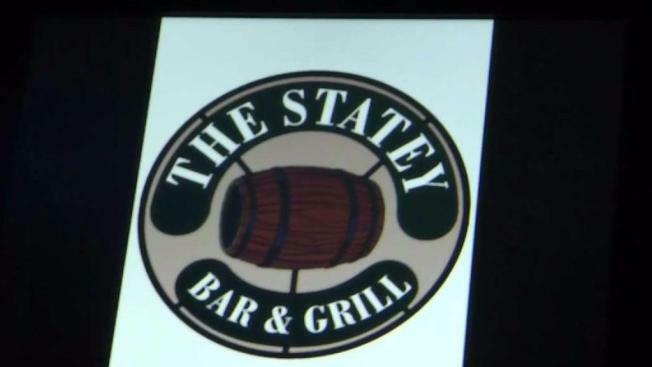 "A lot of my customers always called it 'the Statey' so it's [called] the 'Statey Bar & Grill,'" Sokorelis said. "My place is about the locals. That's what I'm about." Locals in the community are looking forward Sokorelis return to the community. "That used to be one of my favorite places," Kenneth Westbrook said. "Being such a staple in town, it's great to see the legacy continue," said Chris Conmet. "I'm happy for all the patrons and the workers to get back to work," said Debbie Aspbeury. Sokorelis said much of the restaurant will be similar to the Saloon. "The same bartenders," Sokorelis said. "The same menu. The same prices and the same friendly people they saw a year ago." One of Sokorelis' servers said she had no doubt Sokorelis would reopen his restaurant. "He said, 'don't worry, we'll be back,' and it resonated with everybody," said Beth Cramer. Customers will see old memorabilia in the new restaurant like a bar stool and sign that were salvaged in the fire. "When you come in the door I want my customers to feel like they're home again," Sokorelis said.